Nine new documentaries to air on SBS, Seven, Nine, ABC and Foxtel have received funding from Screen Australia. They include Changed Forever, a three-part documentary mini-series that tells the stories of people who were shaped by World War I, who also shaped Australia; Songs from the Inside, a musical documentary set in Berrimah Prison on the outskirts of Darwin; Vietnam ANZACs, an account of Australian soldiers’ action in the Vietnam War and the tragedy of the post traumatic stress that followed. ABC’s Geraldine Doogue will make a pilgrimage to Jerusalem at Easter 2014 for The Way of the Cross; there’s a 10-part series The Australian War Memorial for Foxtel’s History Channel with historian Neil Oliver; Islands of Oz follows Martin Clunes as he explores remote Australian islands; The Cambodian Space Project: Not Easy Rock N’ Roll is the story of the birth of multicultural rock band The Cambodian Space Project ; Big Red tells the remarkable life story of a red kangaroo for National Geographic Channel International and in Great White Matrix scientists will work barehanded with deadly sharks to determine the driving forces of shark predatory behaviour. Synopsis Those who shaped our country were themselves shaped by the Great War. This is their story. Synopsis A documentary musical set in Berrimah Prison on the outskirts of Darwin. Synopsis An account of Australian soldiers’ action in the Vietnam War and the tragedy of the post-traumatic stress that followed. Synopsis Media personality Geraldine Doogue makes a pilgrimage to Jerusalem at Easter 2014, searching for what she believes is the essence of her Catholic faith. Synopsis In the lead up to the 100th anniversary of the First World War, international broadcaster and renowned historian Neil Oliver takes us behind-the-scenes of one of the world’s most iconic institutions, the Australian War Memorial. With unprecedented access to the memorial, its staff and its rarely seen precious archives, this landmark documentary series will follow all the action across its busiest and most momentous year to date. 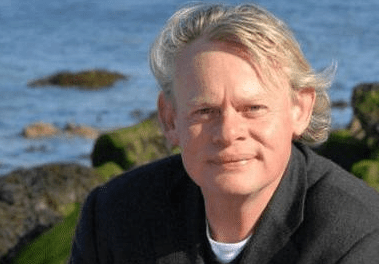 Synopsis Islands of Oz is a documentary series that follows acclaimed actor and comedian Martin Clunes as he explores the most diverse, intriguing, remote and spectacular islands that surround Australia. Synopsis When wandering Australian musician Julien Poulson meets Cambodian karaoke singer Srey Thy, the result is a cross-cultural rollercoaster and the birth of multicultural rock band The Cambodian Space Project. Filmed over four years and told from the inside, this is the story of two struggling performers whose rise from obscurity, poverty and trauma to relative fame is a psychedelic journey into rock’n’roll– where nothing is ever easy. Synopsis This blue-chip natural history documentary tells the remarkable life story of a single red kangaroo. Synopsis Off the Australian coast, scientists work barehanded with deadly sharks to determine the driving forces of shark predatory behaviour. Oh, I get it. He’s only hosting one series, but it’s on Channel Seven. That makes much more sense.